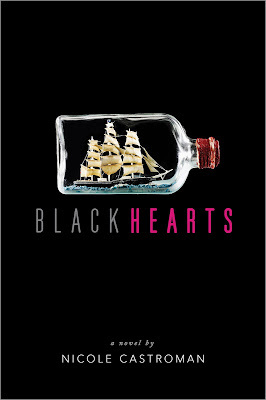 Jaime | 8:00 AM | 2016 Books | Blackbeard | Blackhearts | blog tour | Giveaway | Historical | Nicole Castroman | Pirates | Simon Pulse | Simon Teen Please comment! Hey everyone! 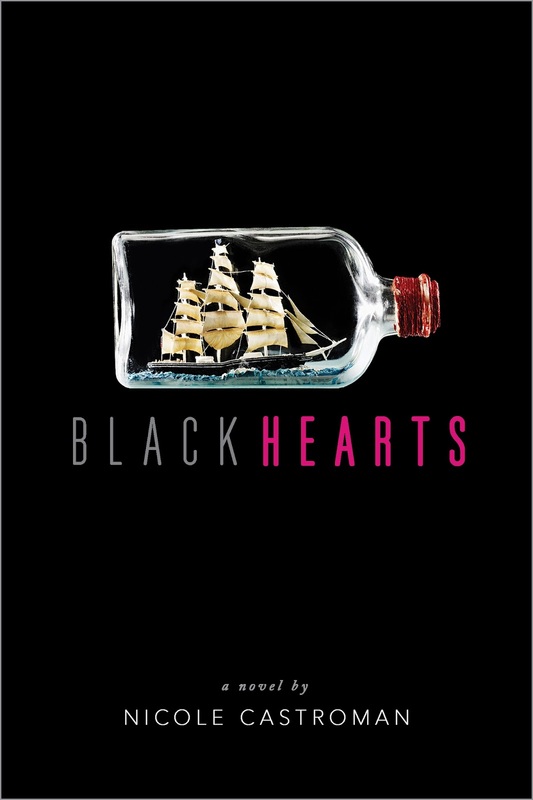 We are super excited to announce the schedule for the OFFICIAL BLACKHEARTS Blog Tour which begins on February 1st! The tour runs from February 1st-5th & 8th-12th, and will have one stop per day and will consist of reviews, guest posts, and interviews. There is also a tour-wide giveaway for a signed finished copy of the book, US Only! So be sure to stop by any or all of the stops for a chance to win. Jaime | 12:11 PM | 2016 Books | blog tour | Fairy Tale Retellings | Giveaway | HarperTeen | High Fantasy | Rapunzel | Reign Of Shadows | Sophie Jordan Please comment! Hey everyone! We are super excited to announce the schedule for the OFFICIAL REIGN OF SHADOWS Blog Tour which begins on February 1st! The tour runs from February 1st-5th & 8th-12th, and will have one stop per day and will consist of reviews, excerpts, and interviews. There is also a tour-wide giveaway for a $50 Amazon GC and signed books, US Only! So be sure to stop by any or all of the stops for a chance to win. Jaime | 8:00 AM | 2016 Books | Assassin's Heart | Assassins | blog tour | Fantasy | Giveaway | HarperTeen | Romeo and Juliet | Sarah Ahiers Please comment! Hey everyone! We are super excited to announce the schedule for the OFFICIAL ASSASSIN'S HEART Blog Tour which begins on January 25th! The tour runs from January 25th-29th & February 1st-5th, and will have one stop per day and will consist of reviews, excerpts, spotlights, and interviews. There is also a tour-wide giveaway for a finished copy and some swag (bookmarks, postcards), US Only.! So be sure to stop by any or all of the stops for a chance to win. Jaime | 8:00 AM | 2016 Books | Balzer + Bray | blog tour | cannibals | Giveaway | HarperTeen | Historical Fantasy | Michelle Modesto | Paranormal | Revenge And The Wild | Romance | steampunk | Vampires Please comment! Hey everyone! We are super excited to announce the schedule for the OFFICIAL REVENGE AND THE WILD Blog Tour which begins on January 25th! There is also a tour-wide giveaway for 10 finished copies, US Only! So be sure to stop by any or all of the stops for a chance to win. 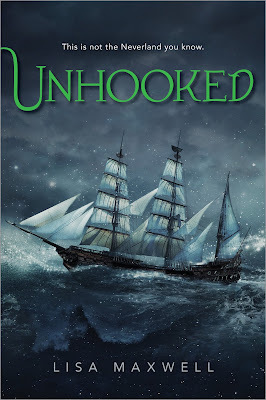 Jaime | 12:20 PM | 2016 Books | blog tour | Fantasy | Giveaway | Lisa Maxwell | Neverland | Peter Pan | Retellings | Simon Pulse | Simon Teen | Unhooked Please comment! Hey everyone! We are super excited to announce the schedule for the OFFICIAL UNHOOKED Blog Tour which begins on January 25th! 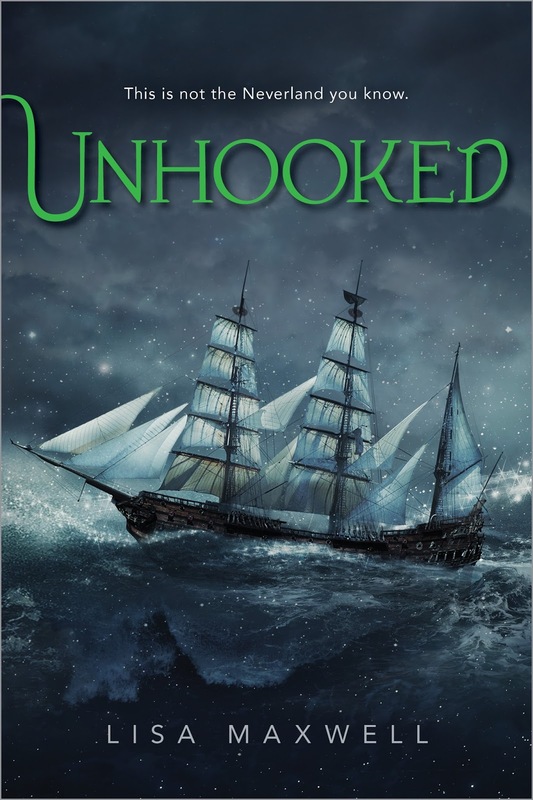 There is also a tour-wide giveaway for a signed finished copy of UNHOOKED, a large Neverland map, and a Funko Pop Captain Hook, US Only! So be sure to stop by any or all of the stops for a chance to win. Jaime | 2:51 PM | 2016 Books | Albert Whitman | blog tour | Elizabeth Briggs | Future Shock | futuristic | Giveaway | sci-fi Please comment! Hey everyone! 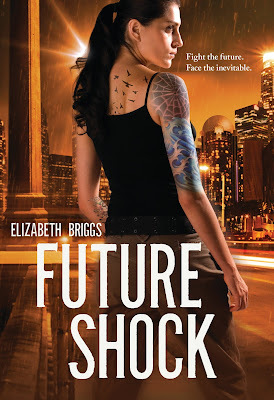 We are super stoked to announce a tour we're hosting for FUTURE SHOCK by Elizabeth Briggs which is releasing on April 1st, 2016! The tour will run for two weeks - from March 21st-24th & March 28th-April 1st- will have one stop per day and will consist of a mix of guest posts, interviews and reviews. Review copies will be provided by Albert Whitman & Company. We are super excited for FUTURE SHOCK's release this April! It sounds freaking awesome! Jaime | 1:46 PM | 2016 Books | Becky Wallace | blog tour | Giveaway | High Fantasy | Margaret K McElderry Books | Simon Teen | The Skylighter | The Storyspinner Please comment! Hey everyone! We are super stoked to announce a tour we're hosting for THE SKYLIGHTER by Becky Wallace which is releasing on March 22nd, 2016! The tour will run for two weeks - from March 14th-18th & 21st-24th- will have one stop per day and will consist of a mix of guest posts, interviews and reviews. Review copies will be provided by Margaret K. McElderry Books. 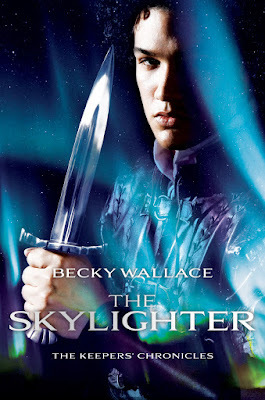 We are super excited for THE SKYLIGHTER's release this March (Jaime read and loved!!)! It sounds freaking awesome! Jaime | 6:32 PM | 2016 Books | Abrams | Amulet Books | blog tour | Cat Winters | Giveaway | Hamlet | Historical | Retellings | Shakespeare | The Steep And Thorny Way Please comment! Hey everyone! We are super stoked to announce a tour we're hosting for THE STEEP AND THORNY WAY by Cat Winters which is releasing on March 8th, 2016! The tour will run for two weeks - from February 29th-March 4th & March 7th-11th- will have one stop per day and will consist of a mix of guest posts, interviews and reviews. Review copies will be provided by Amulet Books. 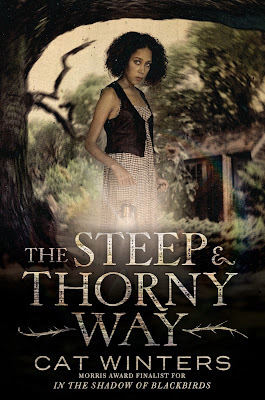 We are super excited for THE STEEP AND THORNY WAY's release this March! It sounds freaking awesome! 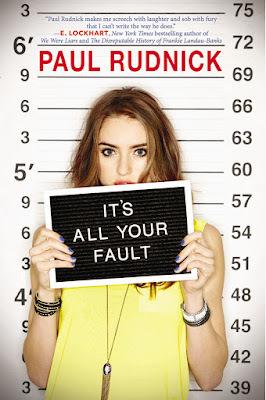 Jaime | 8:00 AM | 2016 Books | blog tour | Contemporary | Giveaway | humor | It's All Your Fault | Paul Rudnik | Scholastic Please comment! Hey everyone! We are super excited to announce the schedule for the OFFICIAL IT'S ALL YOUR FAULT Blog Tour which begins on January 18th! The tour runs from January 18th-22nd & 25th-29th, and will have one stop per day and will consist of reviews, excerpts, spotlights, and interviews. There is also a tour-wide giveaway for 5 finished copies of the book, US Only! So be sure to stop by any or all of the stops for a chance to win. 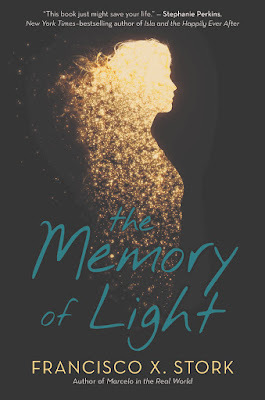 Jaime | 2:00 PM | 2016 Books | blog tour | Contemporary | Francisco X. Stork | Giveaway | Scholastic | The Memory of Light Please comment! Hey everyone! We are super excited to announce the schedule for the OFFICIAL THE MEMORY OF LIGHT Blog Tour which begins on January 18th! There is also a tour-wide giveaway for finished copies of the book, US Only! So be sure to stop by any or all of the stops for a chance to win. 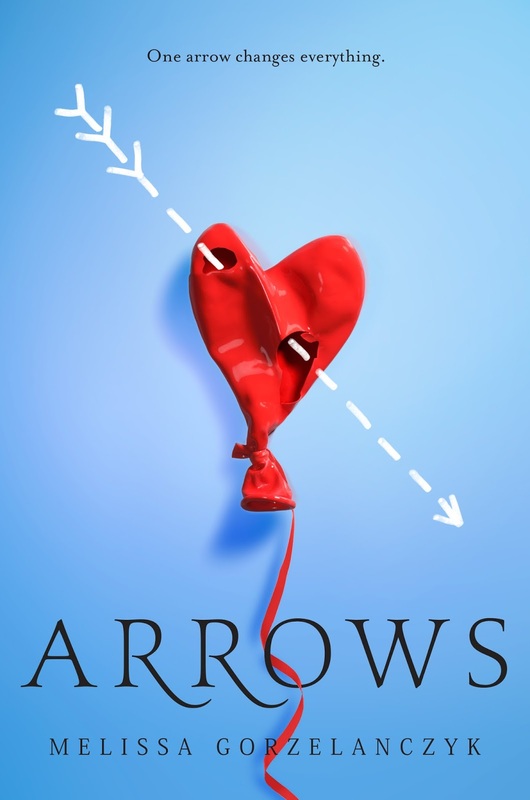 Jaime | 8:00 AM | 2016 Books | Arrows | blog tour | Contemporary | cupid | Delacorte Press | Fantasy | Giveaway | Melissa Gorzelanczyk | Random House Books for Young Readers Please comment! Hey everyone! We are super excited to announce the schedule for the OFFICIAL ARROWSBlog Tour which begins on January 18th! There is also a tour-wide giveaway for a finished copy of the book and swag, US Only! So be sure to stop by any or all of the stops for a chance to win.